Asheville is a dream-come-true for women looking for a girlfriend's getaway. Leave the guys at home and enjoy your friends and family. Our Top 10 list includes great ideas for mother-daughter, bridal parties and singles vacations also. Click on the links for more information. 1. 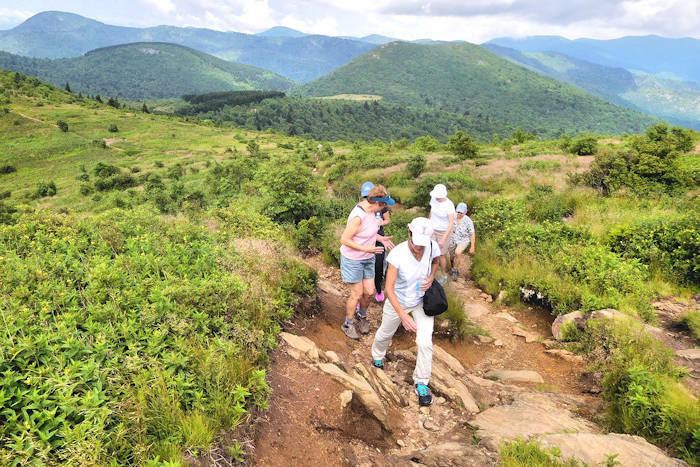 Outdoors: Get outside in the Blue Ridge Mountains that surround Asheville. See our Top 70 Outdoors Guide for many options including hiking, waterfalls, whitewater rafting, scenic drives on the Blue Ridge Parkway, zip lines and more. 2. 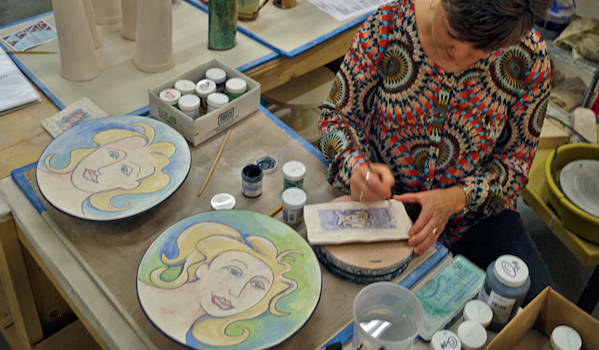 Art: Asheville is one of the top cities for art creation in the country. Our top spot to see artists at work and find world-class art is the River Arts District. Take an art class at 310 Art. See our top Art Galleries. Don't forget our many Art Events & Festivals. 3. Biltmore: Spend the day at Biltmore, taking your time to enjoy the lavish furnishings of the house, the beautiful gardens, and the winery. Take a break at one of their restaurants and browse their gift shops. Plan your visit with our Biltmore Guide. 4. Shop: You could easily spend a day exploring downtown Asheville's hundreds of boutiques, galleries and local stores. Also, head to Asheville Outlets for deals at 70+ national brand stores. For more, go to our Shopping Guide. 5. Spa: Ready for ultimate pampering? You and your girlfriends can stay at a destination spa or visit a day spa. See our Spa Directory. Relax with a healing session in the Salt Cave. For more wellness and holistic options, see our Holistic, Alternative Health & Wellness. 6. Gardens: The North Carolina Arboretum is a must for plant lovers. They also offer many workshops that your group could attend together. Another great spot is the Botanical Gardens of Asheville with a half-mile walking trail. 7. Guided Tours & Trips: Take a guided group adventure in town or out in the mountains. For ultimate laughs, ride the Pubcycle or LaZoom Bus. See 25 Guided Experiences. 8. B&Bs: Get several rooms at one of the many Bed and Breakfast inns in Asheville. Their common areas often include a great front porch or living room for late-night girl talk. Then enjoy a homecooked breakfast in the morning. 9. Dining: From casual to sophisticated, there are restaurants for all tastes. Discover more than 50 locally-owned restaurants downtown with cuisine from around the world. Also see our Foodie Favorites. 10. Wine Down: Sample wines and relax after a busy day at a wine bar. Check out the breweries in the South Slope. See a play or Broadway show at a theatre. If you love pottery, a must stop is The Village Potters, home to five super talented women potters. Get your hands dirty with a group class. Enjoy your Girlfriend Getaway to Asheville! 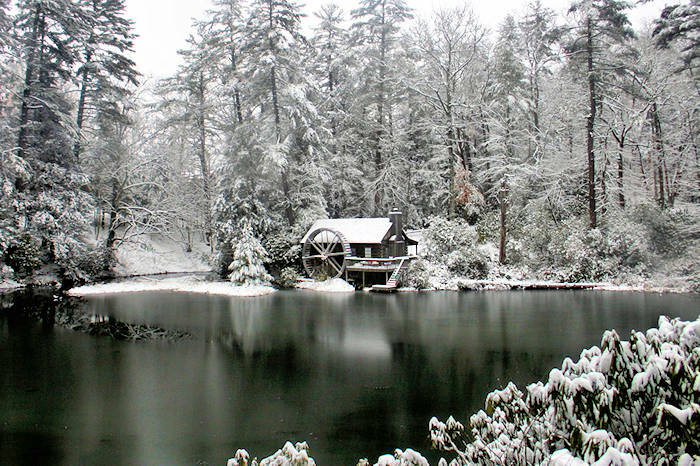 For even more ideas, go to our master list of 300 Things to Do in the NC Mountains.